Tom Holkenborg’s SCORE Academy provides a singular opportunity. 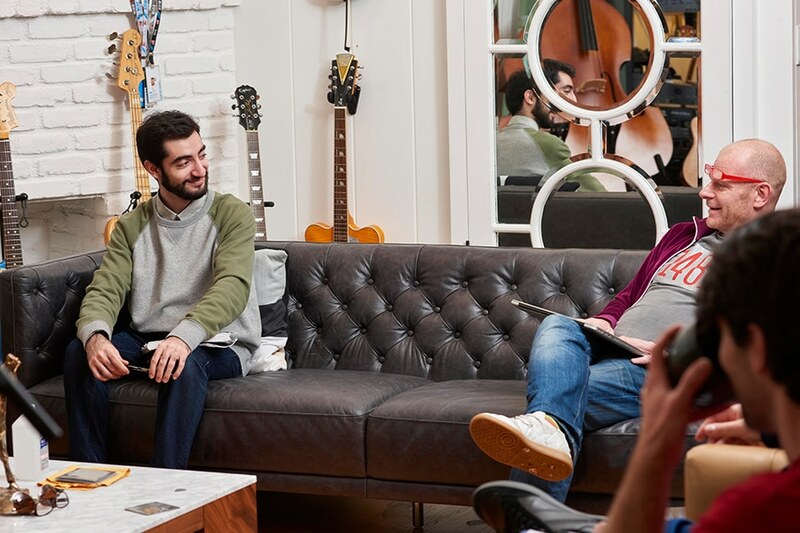 Students will be embedded in Tom’s working studio, receiving a full-contact curriculum designed by Tom himself to create complete film composers. The Academy aims to raise students skill sets to the highest level in all aspects of scoring, sound design programming, music production and music technology, and film music business. 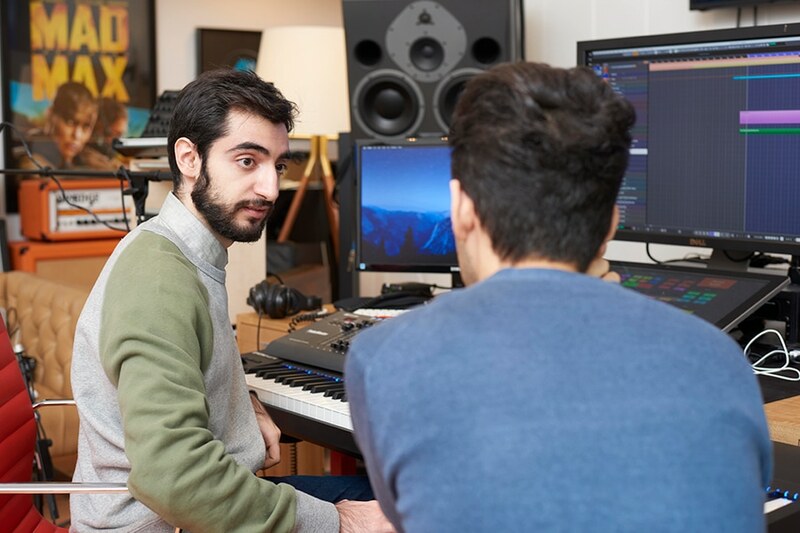 The SCORE Academy takes a deep dive into production, tackling mixing, working in surround sound, cue structure, sample and plug-in usage, among many other technical skills. Outside the studio the program also provides insight on navigating director/composer relationship and workflow, marketing and promotion, and the business side of Hollywood. It is developed for top talents preparing to work at the highest international level in film scoring. Education is led by Tom Holkenborg (aka Junkie XL) at no cost with living expenses paid for by the student. This takes place in Tom’s own high-end equipped studios in Los Angeles, where the student work on and around actual film projects. The length of the program is one academic year, September 16th, 2019 - July 17th, 2020. SCORE Academy brings the student to a whole new level of being a musician and producer. 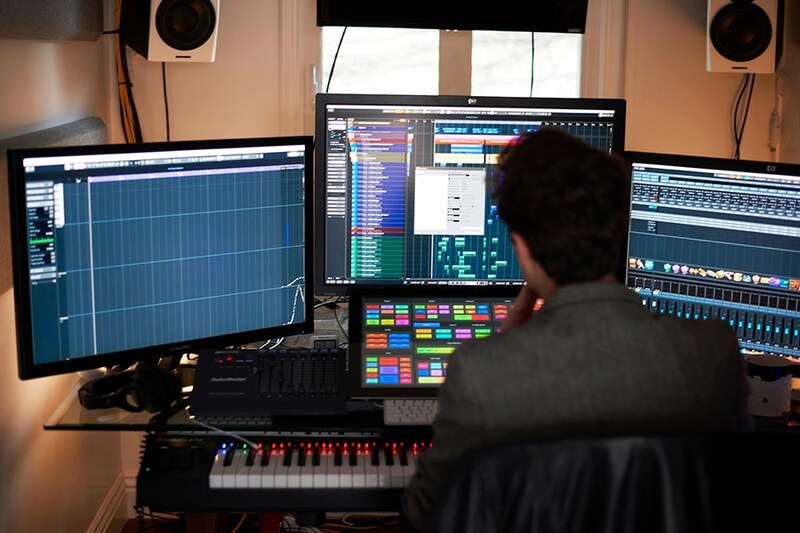 It raises the students skill set to the highest level in all the aspects of scoring, sound design programming, music production, and music technology. Learning about the business side of film scoring: managing, promotion, team building, etc. Pressure cooker training at the advanced level for top talents at the top of the creative industries. Learning and working directly in the studios of Tom Holkenborg. An opportunity to work with the Junkie XL team. Development of skills and knowledge and gaining experience directly from the best industry professionals. Highly intensive and individual training. Limited students during each course cycle. Network in and direct link to the top of the international film music industry. Gateway to a job in the international top of the creative industries. After the first one-on-one interaction with Tom Holkenborg, including detailed tours of his studios and formal meetings with his team of creatives, technical assistants, and management, we waste no time in getting the student's hands dirty. We start with the program consisting with exercises and assignments with personal feedback from Tom and his assistants. The student will be involved in the daily life and routines of Tom and his team, such as the briefings, lunch meetings and meetings with directors. Getting familiar with the JXL Template and all its tracks (3,200 of them). Get to know all libraries that are uniquely created for the template and learn all their articulations. Get familiar with the routing of all the tracks and all its sub groups and auxiliary send and returns. Getting familiar with all synthesizer plugins installed on the Cubase machine (around 500). Open them up one-by-one and go through sounds, getting comfortable with what each synth has offer. Getting familiar with all audio plugins available for audio insert purposes (around 2,500). Get to know all the EQs, compressors and sound design capabilities that are there. Getting familiar with Kontakt by Native Instruments and all content that is available for it. 80% of these are homemade libraries (around 4TB). This is the basis for most of the music that Tom makes. Reading the JXL Manual: how to use the setup and the basics of film scoring and writing. Opening up existing suites/cues - examine contribute to them. Learning file management and exporting/importing files; dealing with ProTools picture and file management. Introduction to networking and file transfers throughout studio. Getting your feet wet in writing in Cubase in the template. The basics of conforming. Students will now take any of suite and start creating a piece of music following instructions of music editors and Tom (shadowing the film we are working on at that time). Begin doing your own cues. Tom Holkenborg is one of Hollywood’s truly unique talents, a full contact composer, renowned for his maverick approach, and mastery of studio technology and instrumentation. He has over 120 scoring credits in film, video game and television music including Deadpool, Mad Max: Fury Road, Black Mass, Alita: Battle Angel and Divergent. He has worked with directors including Robert Rodriguez, George Miller, Tim Miller and James Cameron and his movies have grossed over $2 billion at the box office. A master degree in film scoring or any form of music composition on a university level. Could also be master in violin, drums or whatever instrument or sub study. Be self-taught, AND supremely talented. If you do not meet the expectations and standards listed above, please reconsider applying. This program is intended only for applicants of the highest level. The program itself is absolultey free, however students are responsible for supporting their own living expenses - which equates to roughly $1,800 - $3,500 / month (depending on where and how you live). Does it matter which country I come from? What about my musical background? It does not matter which style of music you come from, so long as what you submit meets the criteria. What are the most valuable skills I need? The ability to compose and the ability to produce. Can I look to you for visa support? The visa process varies greatly depending on the applicant and where they're coming from, please contact your local resources for guidance. This is also a good place to start. Will this be a regular thing, or a one-off? SCORE Academy will be an annual program! It's a plus, but you don't necessarily need to. However, you would have to have a exceptionally natural feel for music instead. Do I have to know how to conduct music? What if I work in a different DAW other than Cubase? Totally fine, but be prepared to learn Cubase rather quickly. The course is completely educational, there is no job offer with the team guaranteed. However, you will walk away with immense credentials to work with another composer or begin your own practice. © 2019 SCORE Academy. All Rights Reserved.